U.S. Presidents obviously have a profound impact on history. But over the years, their influence has also extended to home styles/designs and architecture. Everyone knows about George Washington’s Mount Vernon, Thomas Jefferson’s Monticello, FDR’s Little White House, the Adams Estate in Massachusetts, and even Abraham Lincoln’s ancestral home in Illinois. Perhaps more than any other presidential residence, Mount Vernon has inspired and spawned numerous homes built in the Georgian, Colonial, and Southern plantation styles. But if you want to step into modern times and prefer other Presidential homes as your models, get set for some inspired ideas from the homes of four living U.S. Presidents, who coincidentally, all come from the South. 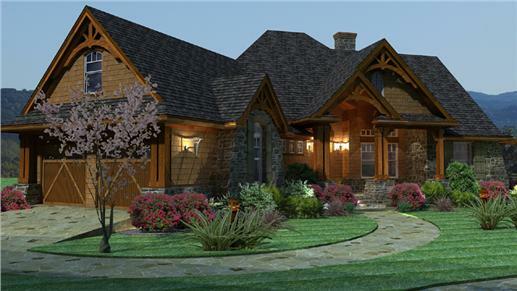 The ranch, with its simplicity, symmetry, and sprawling layout, is one of the most popular and enduring architectural designs. 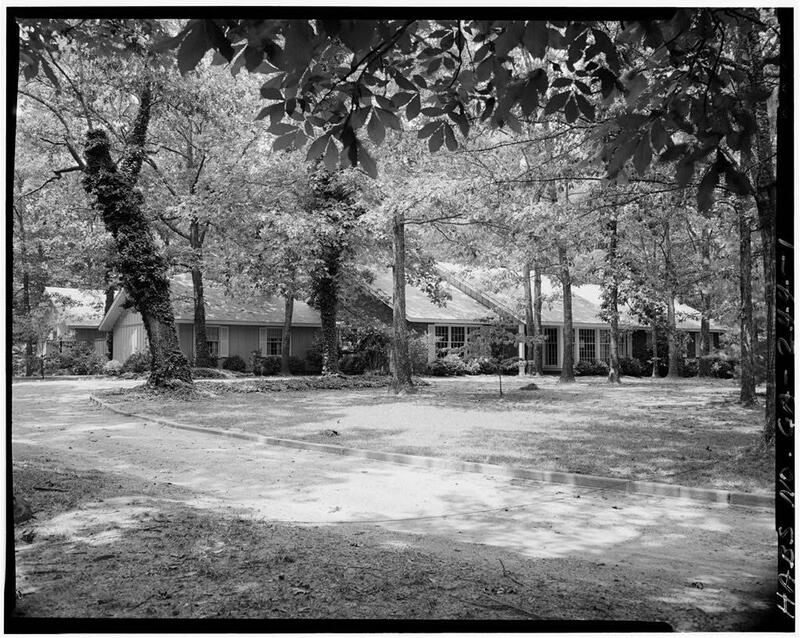 The 39th and 43rd Presidents of the U.S., Jimmy Carter and George W. Bush, lived in ranch-style homes. The modest Carter ranch house in Plains, Georgia—the family’s permanent residence since 1961—is also the first and only home the Carters have ever owned. The home stretches on what looks like a pretty huge property. It has covered front and rear porches, lots of trees and plants, and plenty of windows for natural sunlight to filter freely into the interior. A sweeping view of the Carter ranch in Plains, GA. Guests are greeted by double doors at the entryway and floor-to-ceiling paned windows and double doors (top). Above is the rear porch, a glimpse of the chimney, and patio furniture. 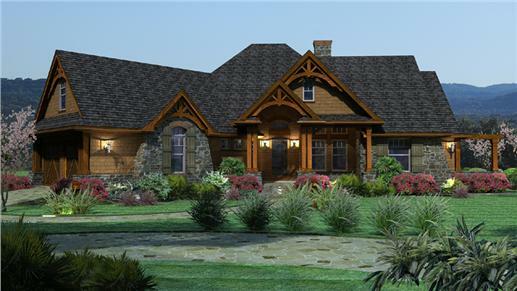 If you want something elegantly simple with clean lines like the Carter ranch, take a look at this three-bedroom ranch-style plan. It is not as expensive as most homes because it is built as an efficient rectangle. There are flex options—with unfinished space on the second level and the basement. Inside the main house is a spacious Great Room—dining-living-kitchen areas—with its open layout. From the Great Room, there is access to a rear covered porch and grilling terrace. The master suite has its own patio with a fireplace. President George W. Bush and wife, Laura, built the Prairie Chapel Ranch in Crawford, Texas, on a rolling landscape of 1,600 acres. The property has a main house, pool, lake, guesthouse, bike paths, and oak trees all over. The one-story, eight-bedroom home has no stairs and is practically one big room because of its open floor layout. The main house at Prairie Chapel Ranch, with its floor-to-ceiling windows, has plenty of oak trees to provide shade from the afternoon sun. 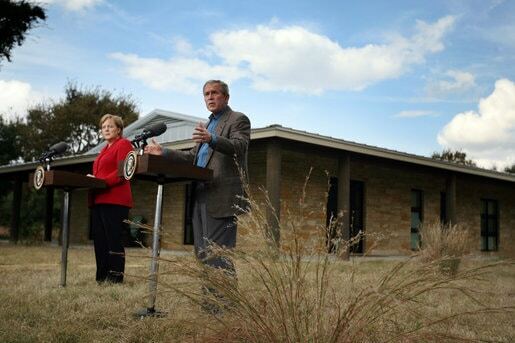 Above: President George Bush with Chancellor Angela Merkel of Germany in front of the Western White House Crawford, Texas. 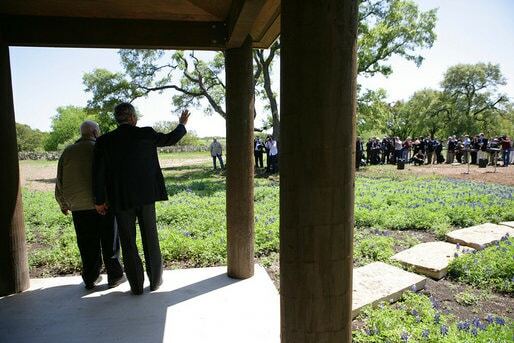 Below: President George W Bush on the porch of his ranch. According to a 2001 article in USA Today, “most of the rooms are relatively small and have high ceilings” with large glass doors that open to the porch. The living-family room and the kitchen-dining area, which are laid out for frequent entertaining and large family gatherings, are quite spacious. When the ranch was built, the Bushes made sure that it was environmentally friendly. The house uses a geothermal heating and cooling system; rainwater and household waste water are reused for irrigation. 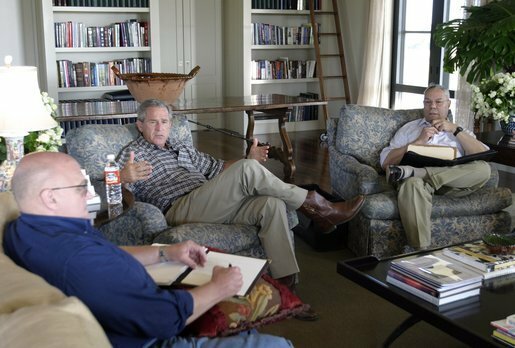 Inside the Bush home (circa 2001-2007): relaxing with their daughters in the living-family room (left). On the right, an unofficial meeting with cabinet members in the study. While not everyone can live on a 1,600-acre property and own an eight-bedroom home, there are some attractive choices in ranch/Texas-style homes out there. 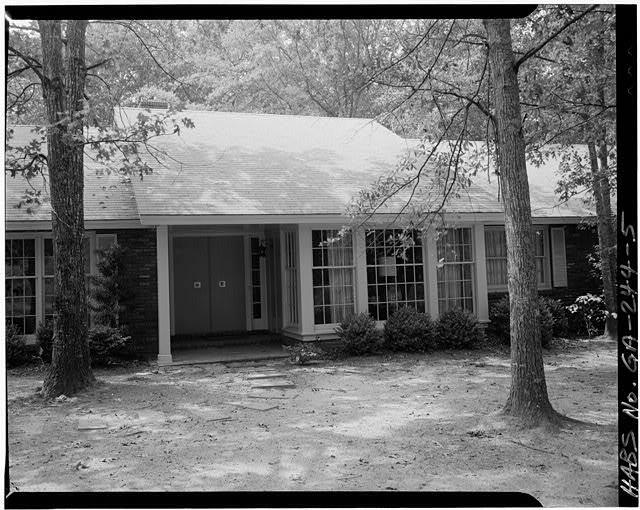 The one-story home shown here, for example, has an open floor plan and lots of bonus space in the basement. The foyer opens on the right into the dining area; to the left is the media/study room, and ahead is the Great Room space—family room, kitchen with a walk-in pantry, and breakfast nook. The master suite has its own sitting room. In the rear of the house you will find a lanai and a BBQ porch. There is also an option for an in-law or guest suite in the basement space. How about a Beachfront Home? 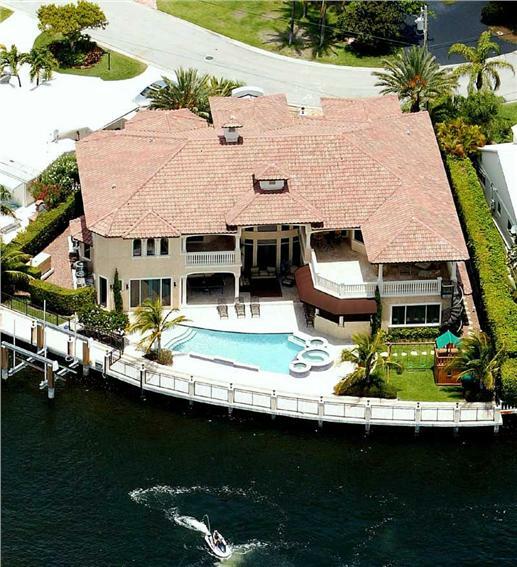 For potential homeowners who love water and sand, a home on the waterfront may be their idea of perfect living. The Kennedys, of course, epitomized that with their summer home in Hyannisport. 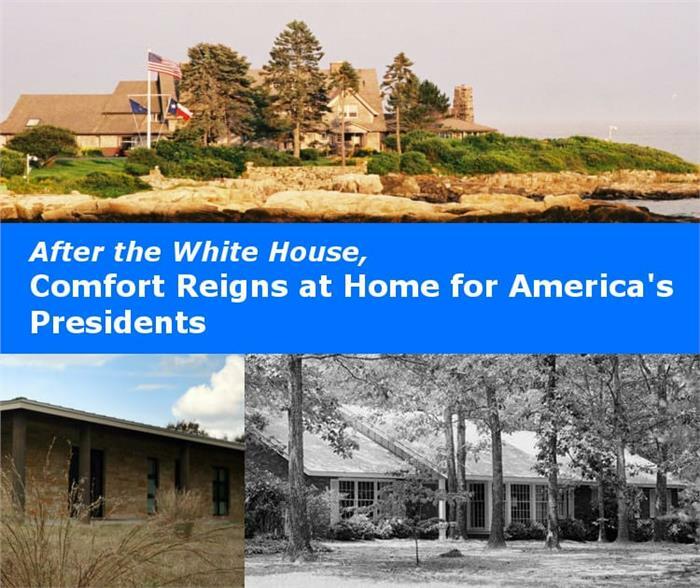 Another president and his family also maintained a private summer retreat on the waterfront. 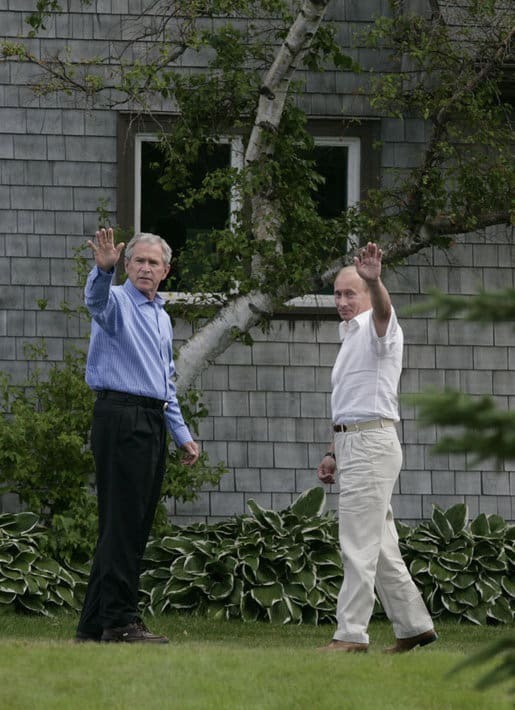 The elder Bush, President George Herbert Walker, owns a home in Kennebunkport, Maine, a property that has been with the family for more than a century. 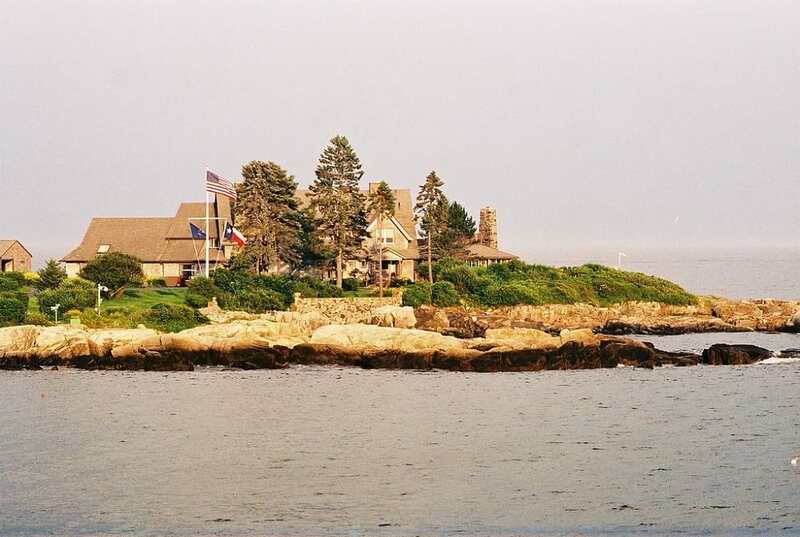 Built on high ridge jutting out into the Atlantic Ocean, the Maine home hosts members of the Bush family during the summer months. The estate was acquired in the late 19th century by President George H.W. Bush’s great-grandfather, David D. Walker. Through the years, it was passed on to several members of the Walker family—and then purchased in 1977 by the 41st President of the U.S. The main building on the Bush property in Maine other buildings inside the compound. The shingle-style Bush summer home has spacious lawns and consists of nine bedrooms, four sitting rooms, an office, a den, a library, a dining room, a kitchen, and various patios and decks. 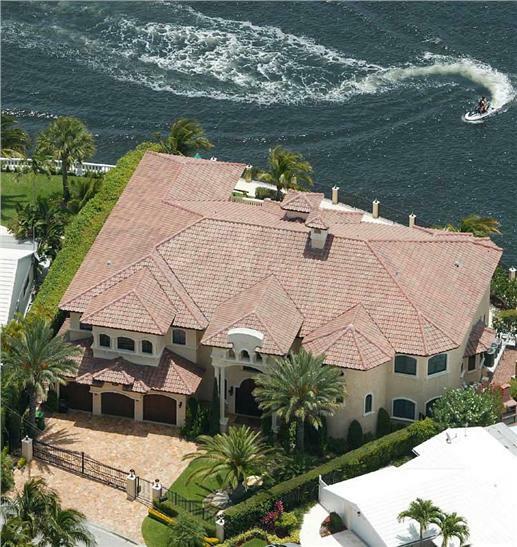 The estate also comes with a four-car garage, pool, tennis court, dock, boathouse, and guesthouse. 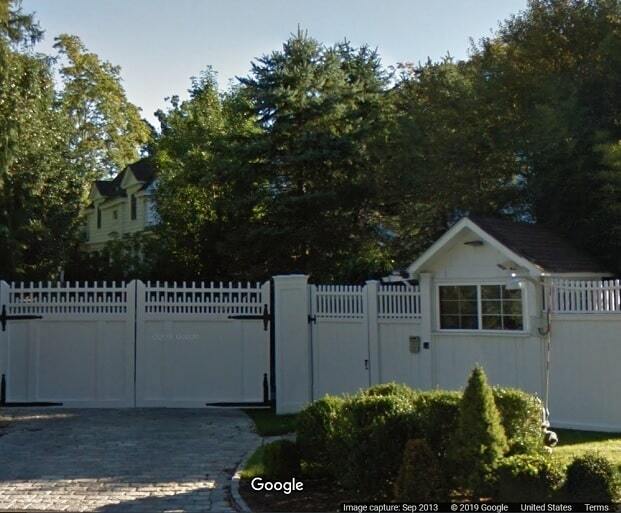 A photo of the house — nside the property (Predient George W. Bush wtih Vladimir Putin). It’s not the Bush Summer Home, but anyone would love to have this beachfront Mediterranean-style home. 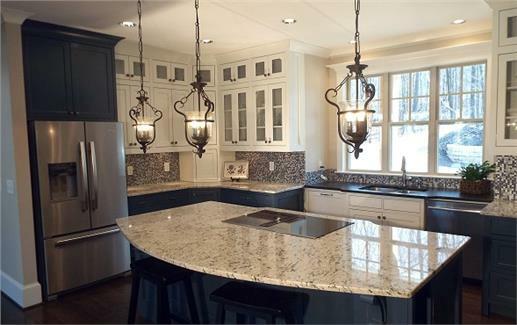 With six bedrooms and seven-and-a-half baths, this home is perfect for family living and entertaining guests. The house has covered patios, a summer kitchen, and a luxurious master suite, which occupies most of the second floor space with its private sitting area and covered balcony. Other amenities include a library, media room, and large guest suite. If you want quiet and privacy, take your cue from William Jefferson (“Bill”) Clinton, the 42nd U.S. President. After eight years in the White House, the Clintons purchased a Dutch-style villa in Chappaqua, New York—population of less than 2,000. The two-story home, built in 1899, sits on 1.1 acres of land at the end of a cul-de-sac. The home, which is enclosed by a white fence, has five bedrooms, four bathrooms, a pool, and a barn. There is a short gravel pathway to the front entrance. Open the gate, and you are greeted by plants, shrubs, and trees that line the path. 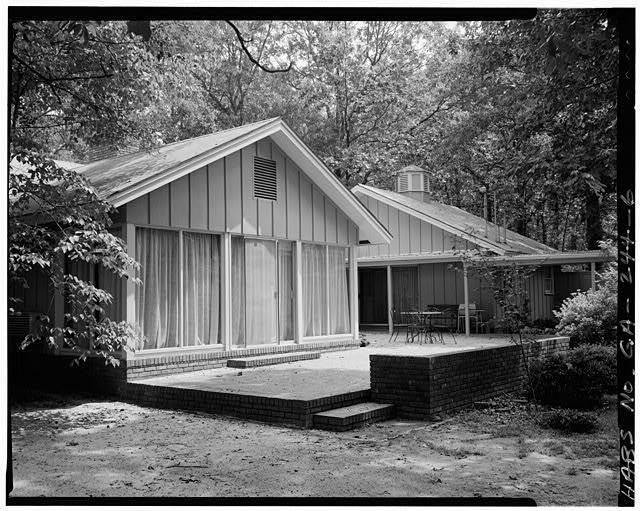 The house has lots of windows; inside is the living room, which flows into the library and the family room, which is connected to the kitchen and a screened porch. The Dutch-villa style home of President Bill Clinton and his wife, fomer Secretary of State Hillary Clinton, in Chappaqua. NY. A white fence surrounds the home and separates it from the next-door neighbor. 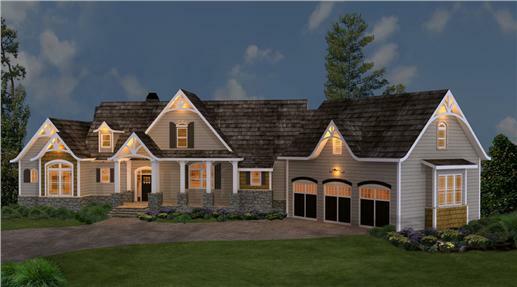 There is no white fence around this two-story, four-bedroom, three-bath luxury house plan. But it is built on a corner lot, with a wide courtyard entry and enough tall trees to ensure shade, quiet, and seclusion. The home has a brick-and-stucco exterior with a welcoming covered front porch. 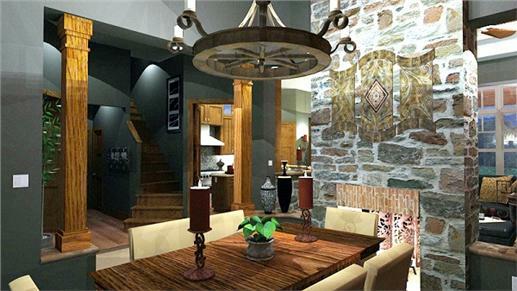 Inside is a Great Room that opens into a Hearth Room and kitchen/breakfast nook area. There is a separate dining room and a den. The first-floor master suite is spacious and comes with a whirlpool, dressing area, and walk-in closet. The rest of the bedrooms are on the second floor. Other features include a wet bar, two fireplaces, and an attached two-car garage. 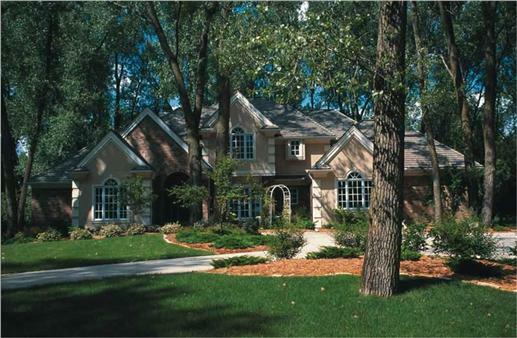 If like the Clintons, you prefer a gated entry to your new home, try this two-story French/European-style house plan. With five bedrooms, three-and-half baths, and lots of space inside, this home can rival any Presidential residence. It has a stucco exterior, hip roof with asphalt shingles, and matching stucco columns at the gate and the courtyard entry. 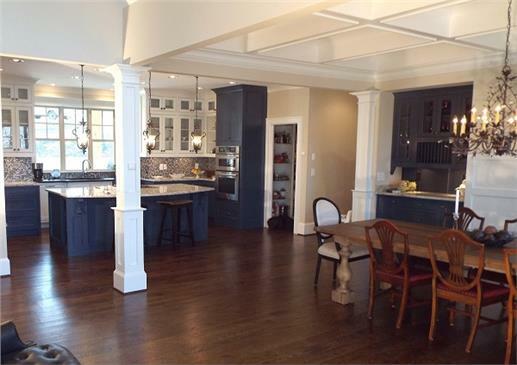 While it exudes Old World charm, its open layout design is made for a modern family. 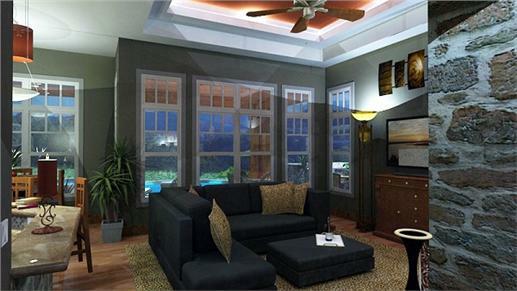 All of the social spaces are located on the first level: patio and Great Room (family-living-kitchen-dining areas). The kitchen comes with a nook/breakfast area, peninsula eating bar, and a pantry. Other features include a library, den, mudroom, balcony, sundeck, second-level laundry, and two fireplaces. The master suite and other four bedrooms are on the second floor. Whether you prefer the simple lines of a ranch-style home, an eco-friendly Texas-style home, an oceanfront estate in Maine, or the Old World charm of a villa in a New York hamlet, be open to design styles from the homes of Presidents Jimmy Carter, George W. and George H.W. Bush, and Bill Clinton.